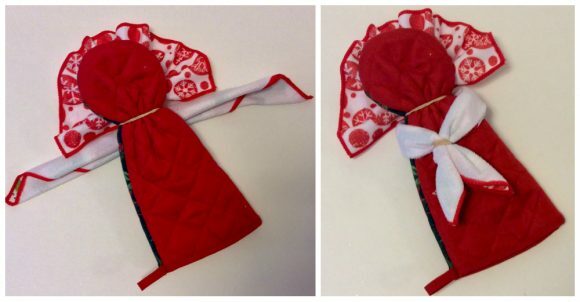 If you liked my kitchen towel angel tutorial, then you will also love her companion – the oven mitt angel! Pair these up for a wonderful, useful gift for anyone on your holiday gift list who loves to cook. These also make great hostess gifts, so whip up a few before you head out to any parties this season- or if you are hosting the party yourself, these also make great party favors to gift your guests! 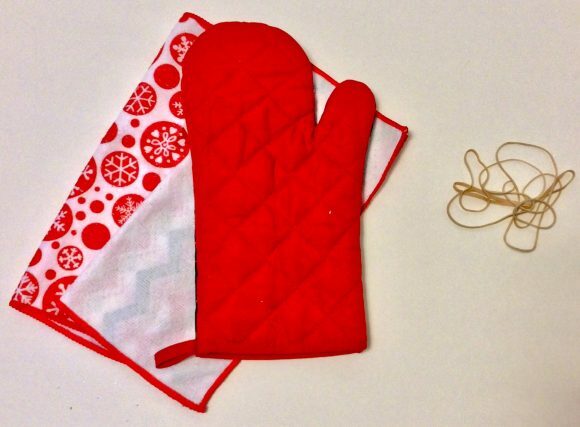 Take the thumb part of the oven mitt and put it behind the side you’re going to use. Wrap a rubber band around It to secure it in place. Take one of the two wash cloths and fold it accordion style. Fold it in half and tuck it under the rubber band in the back. Fan it out to look like wings. Fold the second wash cloth into a triangle until it is about one inch wide. Fold it in half and put it in the middle under the angel’s wings. These are the arms, wrap a rubber band around them about one inch from the end. 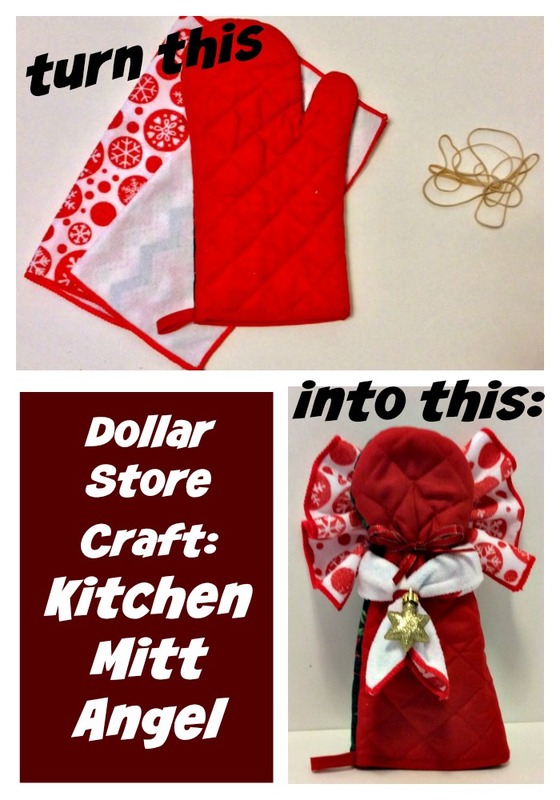 Tie a ribbon around the neck and add an ornament or other small embellishment to cover the rubber band around the hands.